With the Easter holidays looming, finding interesting and wallet-friendly activities for all the family can be a daunting prospect. A tempting option is to let the kids watch TV or play on their tablets – especially when the weather is bad. While there’s nothing wrong with a bit a screen time to flex the brain or relax, given that the average UK child already spends over 17 hours a week in front of a device, having some other options up your sleeve that will help get the kids more active is well worth it. The good news is there are plenty of ideas that don’t have to cost the earth (in many cases they are absolutely free!) which can also help ensure children get their recommended 60 minutes of physical activity a day during the holidays. With that in mind, here are my top tips for Easter activities that can boost mood, movement and happiness. Exercise doesn’t always sound fun. But sport can. 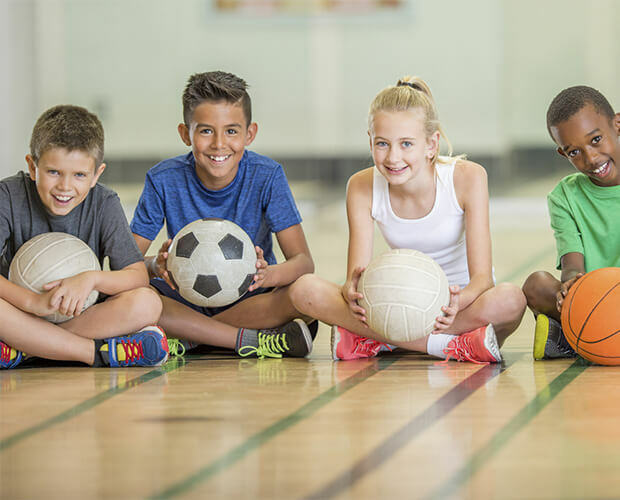 While your kids might turn their noses up and the suggestion of getting more active, chances are that there’s a sport out there that might trigger their interest and imagination so much that when they take part, they just focus on having fun. What’s more, many local leisure providers recognise this and run dedicated sports camps over the holidays – helping kids to perfect their skills on the pitch or perform better in the pool. Have a look and see what’s on offer to help your kids spring into sport this Easter. On the subject of our great outdoors, fancy a climb? I’m not talking harnesses and helmets here but rather hitting the hills as a family. Walking is one of the best forms of exercise – add a slight, moderate or steep incline into the mix (depending on fitness levels) and you not only get to work leg muscles that little bit harder, you also get great views at the top. Perhaps even add in a short race to the summit to be named king or queen of the hill! For inspiration, www.ukhillwalking.com has a useful interactive hill finder to help you locate a hill that suits your family fitness levels. Nothing is more fun than going on a treasure hunt. You don’t need to hunt for sweets or prizes, hunt for landmarks instead. If it’s raining, hide clues or ‘pirate treasure’ (foil wrapped wooden blocks) around the house and garden. And, if your children really can’t be separated from technology, why not try geocaching with them? Using a phone’s GPS download and the co-ordinates of local geocaches from www.geocaching.com (there are 70,000 in the UK) you can quickly get hunting. 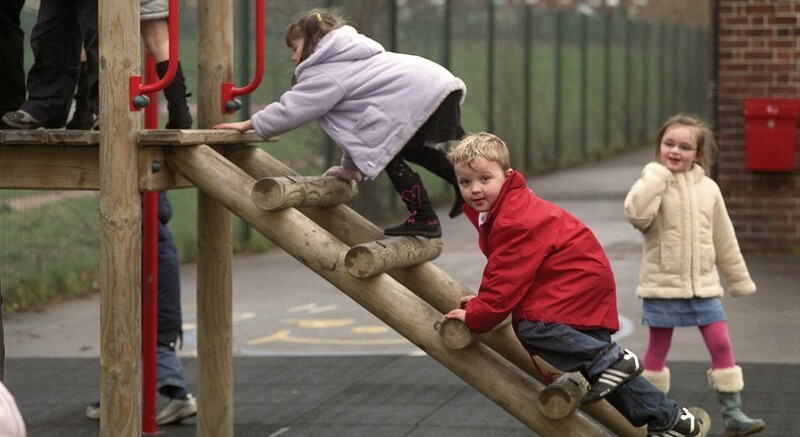 Have fun designing, setting up and testing an obstacle course in your back garden, park or indoors (if it’s raining). You don’t need anything special – all you need is basic things like logs, rocks, cushions, and a stopwatch). Or, if you prefer a ready-made option, many leisure providers are now offering obstacle based activities. It’s worth checking out as the many different muscle movements needed to tackle even a short course, together with the mental stimulation involved, means it is a really great activity. These days, parks have become much more than a place to kick a ball around (not that there is anything wrong with that), they have become real community and activity hubs, so it is worth looking at local noticeboards and on social media groups for activity (often free) listings. Organised sessions aside, most will also offer facilities ranging from playgrounds to cricket grounds so it’s well worth a trip to find out about facilities. Kids are actually natural born runners – it’s just a habit they get out of (sadly). As well as helping build stamina and endurance, studies have also shown that running is a real mood booster that can help children feel more carefree. And remember, runs don’t just have to happen round tracks or along pavements. Why not combine the activity with getting back to nature? Woods are a great play to run, walk, climb trees, jump in puddles, explore and build dens. Check out www.woodlandtrust.org.uk for locations and inspiration.